Semper Fit includes all Marine Corps Base Hawaii sports and fitness programs: the Semper Fit Centers (main and satellite gyms at K-Bay & Camp Smith), aquatics (pools & beaches), varsity and intramural sports, HITT, Youth Fitness & Sports, Health promotion, and the Single Marine & Sailor Program. Where: Branch Medical Clinic 2nd deck training room– This is a four week tobacco cessation (quitting) class. It starts on the first Tuesday of the month and runs for four consecutive Tuesdays. For more information, contact Health Promotions at 254-7636. This is open to anyone 18 yrs and over interested in playing volleyball. We will practice on improving our skills and play some pick-up games. Spread the word! Any questions, comments or other input contact 254-7589. Click the facility name below to view more information. The Semper Fitness Center is a full-service center offering cardiovascular equipment, selectorized machines and free weights. The facility also houses a basketball court, racquetball courts and locker rooms with saunas. A Satellite Fitness Center is located in Building #1033 and the Flightline Mini-Gym, Building #301. 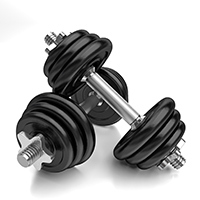 Free weights and weight machines are available for use at these locations. Phone: 808-254-7594. Hours vary due to operational commitments. Massage Therapy – World Class Massage! Massage therapy, with certified massage therapists, is available at Kaneohe Bay. Please check-out the PDF for more info! Appointments are available by calling the Kaneohe Bay Semper Fit Center at 808-254-7597. See this Personal Trainer PDF for pricing and more information. Ideal for family fitness, the Semper Fit Center—Kulia offers an array of cardio, weight and selectorize equipment. A childcare co-op is also available (not affiliated with Children & Youth Programs). The Semper Fit Center—Kulia has a volunteer based childcare operation called Kaneoehe Bay Childcare Co-op. All participants give some of their time to babysit to receive childcare while at the gym. Participants must be CPR/AED/First Aid certified. For more information, contact KaneoheBayCoop@gmail.com. Please see the front desk for our group exercise schedule. Click here to view the General Louis H. Wilson Semper Fit Center brochure. Lap swim is also available at the Main Pool Monday-Friday, 1100-1400. Nationally accredited certified personal trainers are available at General Louis H. Wilson Semper Fit Gym. Get individual or group lessons. See this Personal Trainer PDF for pricing and more information. Call the General Louis H. Wilson Semper Fit Center for more information at 477-5197. 100% DoD identification check will be applied at the Semper Fit Center, except military personnel in uniform (Marine or Navy physical training gear accepted). No sponsored guests are allowed except registered household guests of the military families stationed at Marine Corps Base Hawaii. All household guests must obtain a registered house guest identification card from the pass house. Immediate family of MCB Hawaii civilian employees without DoD identification must obtain a Department of Defense Semper Fit Center Pass and be accompanied by their sponsor at all times while using the facility. The pass expires upon the sponsor’s common access card expiration date. 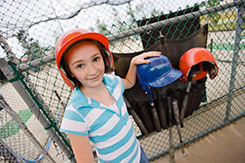 All authorized patrons may use the automatic pitching machine for FREE, and if you don’t have a bat or helmet, they are available to borrow. The batting cage is available during Tiki Island’s regular business hours. Click here for hours.